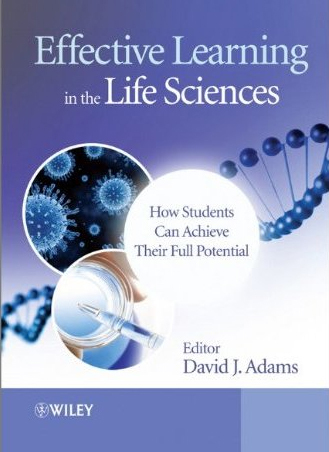 Today I have received my copy of Effective Learning in the Life Sciences: how students can achieve their full potential. As the subtitle implies, the book is targeted first and foremost at students wanting to make the most of their time at university, and at academics helping them to reach that goal. Threshold concepts and Friendfeed – a window into troublesome knowledge? On January 24th 2011 we were treated to a very thought-provoking seminar on “Threshold Concepts and Troublesome Knowledge: A Transformational Approach to Learning” as part of the University of Leicester’s Intrepid Researcher series. I won’t make extensive notes on the content of the presentation here because a very similar set of slides can be accessed here (Sept 2010, PowerPoint) and an older version here ( December 2008, pdf). A repository of resources related to the notion of Threshold Concepts is also available at this UCL site. I will reserve discussion here to a few of the main things that hit me. Firstly, there is the notion that troublesome knowledge is really the key to maturing within a discipline – experiencing a certain amount of anxiety is a necessary part of moving on to deeper understanding. The concepts that trigger this experience within the majority of students may therefore be fundamental in their mastery of the topic. University education is analogous to gym membership (where work is required to reap the benefits) and not a stay at a luxury hotel.